Mumbai: Provogue (India) Ltd has exited the discount retail business, selling its troubled Promart brand to Vemb Lifestyle Pvt. Ltd for Rs90 lakh. Promart Retail India Pvt. Ltd will reopen on Friday under the new management. 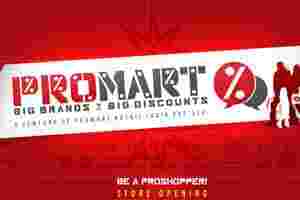 Started in 2007, Promart had a store each in Ahmedabad and Indore. It was caught with large inventories and high overhead costs following the financial crisis of 2008, prompting the owners to exit. The Indore store was shut. Payments for completion of the deal are in process. “The transaction is yet not complete," said Nikhil Chaturvedi, founder and managing director of Provogue. He did not divulge more details ahead of the company’s quarterly earnings announcement on 10 November.